Are you interested in World War II? Do you know anything about the American Red Cross’ involvement in the war? Would you like to learn? If so, a presentation put on by author Kathy Freeland may be for you! This presentation will focus on a variety of subjects related to the American Red Cross in World War II. • provide illustrations of several series of postcards used by the soldiers and provide information on clubmobiles. • The Red Cross War Fund is also discussed, showing how the Red Cross raised funds to provide services to soldiers and others in the war. The speaker, Kathy Freeland, has been involved in numismatics since 1994, the year after she married Dan Freeland, already a collector with many numismatic interests. Her joke has been that Dan found something for her to collect so she would attend shows with him and not be bored! 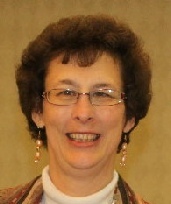 She currently holds the following positions: Life member of MSNS, CSNS, ANA, Civil War Token Society, Member of Love Token Society, Marysville and Flint Coin Clubs, Secretary of the Token and Medal Society, Past-president of Mich-TAMS, and chair of the 50th anniversary celebration in 2015, Publicity Chairperson for Women in Numismatics, Exhibitor and Judge at all major coin shows, including MSNS, CSNS, ANA. This talk will give an overview of historical era United States gold coins and their importance in the commerce of our then young country. Our earliest gold coins also acted as a global announcement that a new and independent nation had emerged; a stinging visibile reminder of the results of the American Revolution to the major colonial powers. Examples of gold coins from the era will be shared with the audience as well as a wide selection of relevant references that serious collectors of these coins own in their personal libraries. The speaker, Brett Irick, is a Director of MSNS. His exhibit on this topic won the American Numismatic Association National Money Show "Best of Show" award in 2011. Numismatics have been a lifelong passion and journey for Brett since he started collecting United States and Canadian coins in 1969. Volunteerism and hobby leadership are important in Brett’s numismatic life. He actively speaks and prepares numismatic exhibits on various topics. 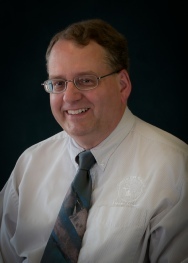 In addition, Brett judges exhibits at various conventions including the American Numismatic Association (ANA), Central States Numismatic Society (CSNS) and Michigan State Numismatic Society (MSNS). An ANA certified judge since 2004, he now assists with the ANA Judges Certification process. 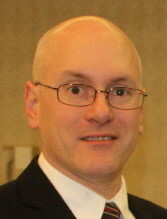 Current positions are ANA District Representative for Michigan and Ontario, Director Royal Canadian Numismatic Association (RCNA) including Club Services Chair, Governor Central States Numismatic Society (CSNS) including Finance Committee Chair and Assistant Chief Judge, President Windsor (Ontario, Canada) Coin Club, Treasurer Polish-American Numismatic Society and a Director of Lincoln Coin Club. Life achievements include an ANA Presidential Award, ANA Numismatic Point of Light Award, Fellow of the Ontario Numismatic Association (ONA), and Best of Show exhibit awards from ANA (2010 summer, 2011 spring), CSNS, MSNS and ONA and RCNA Best Canadian Decimal Coin exhibit awards (2008, 2009). Brett was also the Chairman of the RCNA Convention in 2011 and the ONA Convention in 2014. Other memberships include Chicago Coin Club, Florida United Numismatists, Lincoln Coin Club, Mich-TAMS, Northwest Detroit Coin Club, ONA and the US-Mexican Numismatic Association. Also an engineer, Brett is the Engineering Manager of a Ford Motor Company stamping plant in Dearborn, Michigan. He has spent the last several years developing aluminum manufacturing processes for the 2015 Ford F-Series aluminum body pick up truck. As the market demand of quality notes for collectors has increased, so have the prices. With this surge in the market, collectors aside, speculators have become involved more than ever and along with unethical individuals trying to capture profits on notes unworthy of their apparent looks. This presentation covers the techniques used to improve the looks of notes while ignoring the originality that commands premium values amongst collectors. The discussions include a wide assortment of chemical and other alterations used to deceive collectors. This is a first class presentation put together with over a half century of experience that will be invaluable to the currency collector in putting together a quality portfolio of paper money. This talk will look at the many ways people collect United States silver dollars, but will also examine how a person expands into silver crowns. The connections between the large, silver coins of other nations and those of the United States can be quite interesting. If you are seeking to expand your hobby interests into world coins, would like to see how to do so affordably, and are interested in how world and US coins tie into each other, please come and attend this seminar. Mark Benvenuto is a long-time collector of US silver dollars as well as of world crowns. A life member of ANA, a member of ANS and the Royal Numismatic Society, as well as a member of MSNS and several other regional numismatic organizations, he is a prolific author, having written more than 700 articles for numerous journals. He is also an avid exhibitor at MSNS shows. Benvenuto also recently published his first novel, a science fiction titled: Mars Greening. The rise and fall of Rome as a political power was paralleled by the strength and weakness of its monetary systems. Even more interesting are the surprising parallels between the rise and fall of Rome’s money and America’s monetary systems, which have implications for America’s future political power. 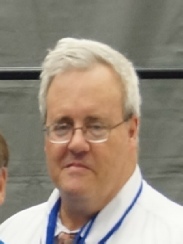 Patrick A. Heller is the owner emeritus and communications officer of Liberty Coin Service in Lansing, having been an owner from 1981 to the end of 2014. He began collecting coins in 1964 but first became a certified public accountant before buying Liberty. Pat used his accounting skills to lead the effort that gained a Michigan sales and use tax exemption on rare coins and precious metals in 1999. He then documented that the Michigan Treasury increased its overall tax collections after the exemption took effect. His research was later used to help win coin and bullion sales and use tax exemptions in Iowa, Pennsylvania, South Carolina, and Nebraska, and to expand existing exemptions in Louisiana, Texas, and Oklahoma. This year his research was used for legislative passage of exemptions in Virginia and Indiana, which (as of late March) had not yet been signed by the respective governors. Pat has written the monthly newsletter, Liberty’s Outlook, for more than 20 years. He also is a regular contributor to Numismatic News, Coin Week, and to other publications. He writes a bi-monthly column on collectibles for The Greater Lansing Business Monthly. Pat produces two commentaries weekly on 1320 WILS AM in Lansing titled “Things You ‘Know’ That Just Aren’t So, And Important News You Need To Know.” These commentaries have earned Numismatic Literary Guild awards three times. When time permits, he also produces a show called “Dollars And Sense” for the internet radio station MichiganBusinessNetwork.com, with a heavy numismatic and precious metals content. He has also given presentations at several numismatic conventions across the country. Pat serves the hobby and industry in multiple capacities. For the American Numismatic Association, he is the co-chair of the Finance and Budget Committee. For the national coin and precious metals dealer association, the Industry Council for Tangible Assets, he is treasurer and a member of the board of directors. For MSNS, he is the long-time Elections Committee. Over the years, Pat has earned numerous awards. Among them are the highest awards bestowed by MSNS—the George Hatie award in 2003, and the Professional Numismatists Guild—the Abe Kosoff Award in 2010. He received and ANA Presidential Award in 2008 and the MSNS Presidential Award in 2012. 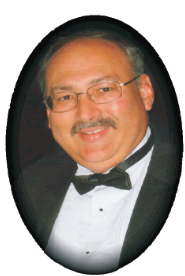 In 2012, he was honored as the ANA Harry Forman National Coin Dealer of the Year. He is a life member of the ANA, Central States Numismatics Society, MSNS, Florida United Numismatists, Texas Numismatic Association, Society of Paper Money Collectors, and National Silver Dollar Roundtable. He is also a member of the Professional Numismatists Guild and several other numismatic organizations. Perhaps Pat’s most significant numismatic contribution was as chair of the MSNS 2004 Michigan State Quarter Design Committee, which led to Governor Engler appointing him to serve on the Michigan Quarter Commission. As a member of the Commission, he was the primary author of the written instructions sent to the US Mint engravers to create the master dies for the 2004 Michigan Quarter. For this, Pat calls himself the “unofficial artist of the Michigan Quarter.” He also participated in the Michigan State Quarter Ceremonial Strike Ceremony at the Denver Mint, as did his son Dan. The US Mint stated that Dan is the youngest person they know of to strike a US coin.